Having several members of the Hawkwind tribute band Assassins of Silence amongst their ranks, it's no surprise that UK's Xoo has a certain amount of Hawkwind influence in their sound. Listening to some tracks from their debut album Poison in the Name of Beauty and this EP, I hear influences coming from the Warrior on the Edge of Time/Hall of the Mountain Grill era, nice space prog type stuff and touches of the harder edged Alan Davey era too. The Brain Tattoo EP is a bit of a sampler from the distant past, the present and... the future! A little sonic time machine if you will. 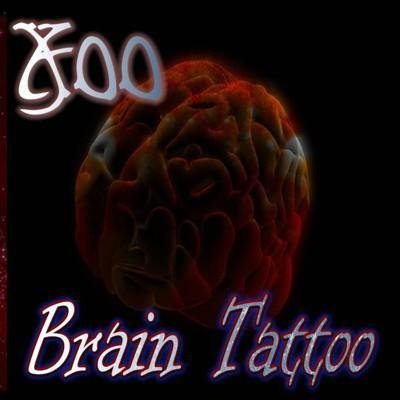 Representing the past is the hard rocker Brain Tattoo (originally from the band's 2006 sampler X006), a live favourite presented here in its original form. From the present we get a couple of new remixes of songs from Xoo's 2007 debut album. Now honestly, I haven't heard the original version of Dark Matter, but this remix (the Grey Matter mix) still sounds like a great, spacey rock tune to me, with some terrific melodic hooks. SETI, however, I have heard and the remix presented here (the Out There mix) is more what I think of when I think 'remix'. It's a spaced out, beat heavy techno trance excursion, utilizing samples from the original. Cool stuff. The real treat here, of course, comes from the future, in the form of the instrumental Des(s)ert of Glass, a track from the band's forthcoming album Tales From a Red Planet. It's a majestic slow burner with a bit of a Wind of Change vibe to it. Very nice. It's just a taste but it's enough to whet the appetite for things to come. Looking forward to the new one!